After a day at the beach, doesn’t frozen yogurt sound wonderful? That’s exactly what I said. I was driving through Del Mar just about 20 minutes north of San Diego, and saw a new yogurt place. 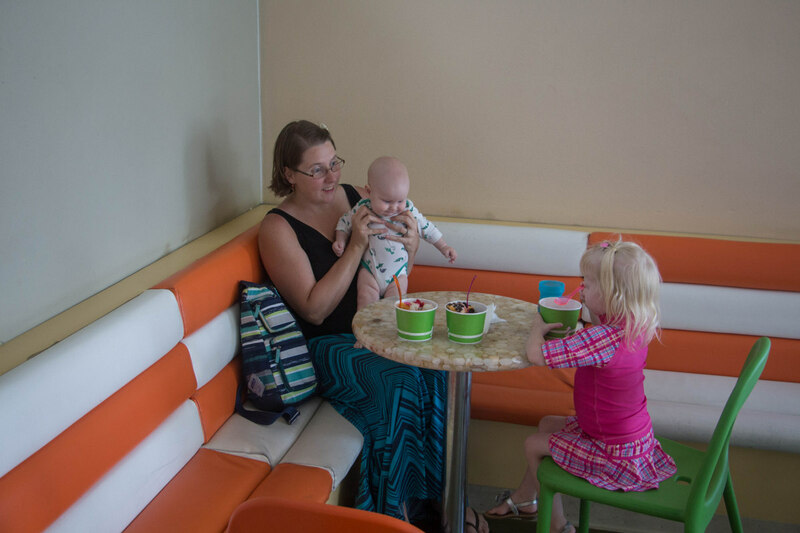 Yogi Topi is an independent frozen yogurt shop (just this one location) in Del Mar that serves some of the best frozen yogurt I’ve ever had. They have terrific flavors, like strawberry, mint, vanilla, chocolate, coffee, berry, cake batter, orange, Oreo, and more! You really can’t go wrong with any of them! They usually have at least one non-dairy option. On the day we visited they had orange and strawberry as dairy-free. They make all of their frozen yogurt right there in the shop. And, in addition to all of the excellent yogurt, they have a ton of toppings! The toppings can be split into three categories: Fruits, Nuts, Candies. Maybe add a fourth category for the syrups of which you can get hot fudge and a few others. The fruits are where I was most impressed. 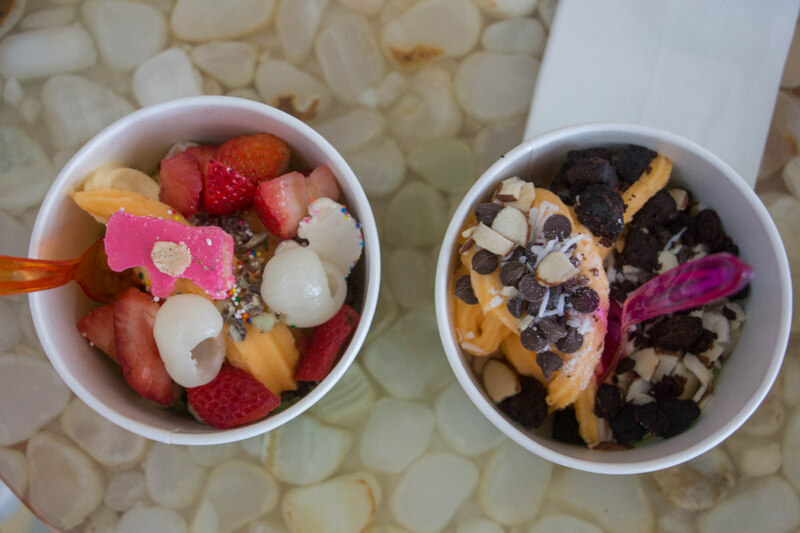 Most yogurt places have just a couple of fruit options. But, they have some I’ve never even heard of before. They have a chinese white fruit that I can’t remember the name of, but I had never heard of it before. It tasted really good. They also have strawberries, blackberries, cherries, blueberries, raspberries, kiwi, pineapple, and a few more I’m forgetting. 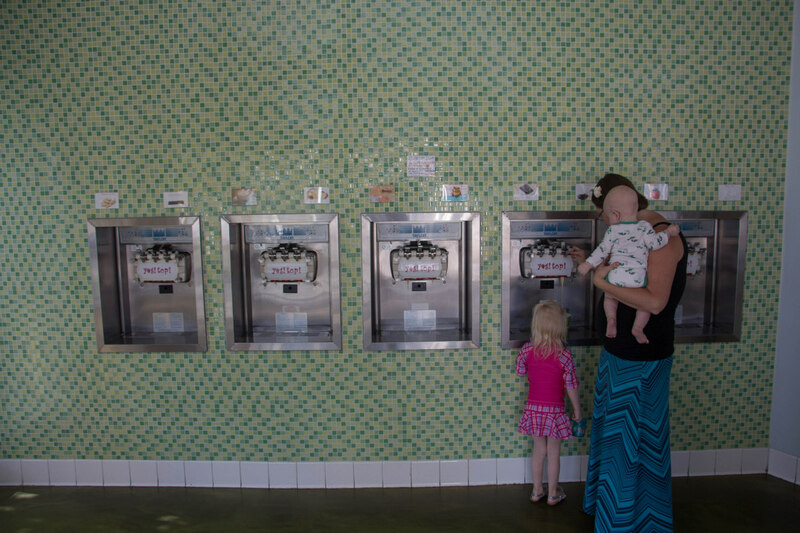 Del Mar is the perfect town for a yogurt shop like this. Casual, friendly staff, and plenty of parking in their own private parking lot. They also have a bunch of non-yogurt desserts for sale such as cakes that they make themselves.